This is the home of the Apple2 portable Apple //e emulator. It’s based on GCC and SDL2, and runs on Linux, Windows, and MacOS X. It’s powered by Virtual 65C02™, and sports an easy to use yet powerful interface. It also has WOZ support! The source is licensed under the GPL version 3. 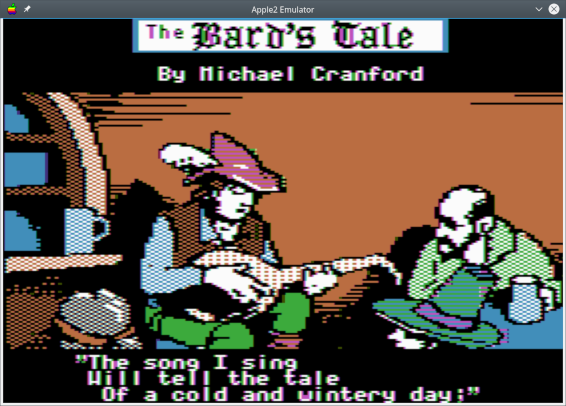 This emulator came about because of ApplePC. It was a DOS only application with a horrible user interface (I wouldn't go so far as to call it user hostile, but it was close) that you had to tune by feeding it the correct numbers for your machine to get it to run at the correct speed. But it had absolutely the most accurate looking screen that I have even seen on an Apple emulator at that time or ever since—current emulators still to this day can’t match the fidelity of what that old DOS program could do. So, to make a long story even longer, ApplePC disappeared off the face of the earth and I thought it was a shame that the screen rendering of that emulator should disappear with it. 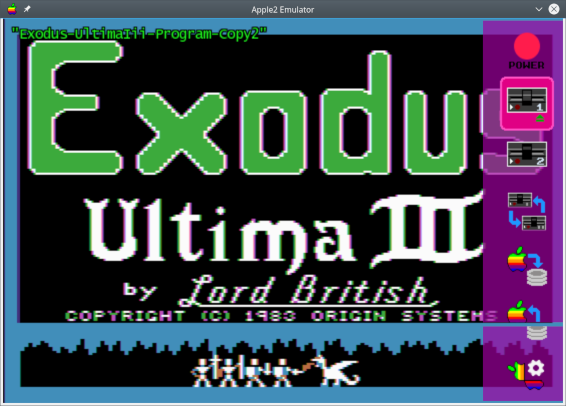 Also, there are, for some reason, absolutely no Apple II emulators for Linux! A deplorable situation! [This was true at the time of this writing, but now there are at least two others (LinApple and microM8) out there. —Ed.] And so I resolved to fix that by figuring out how ApplePC did its video tricks and by writing an emulator for Linux. At the same time, since I write pretty much all my software cross-platform, Windows and MacOS X ports come along for free!